TENNIS coaches David Dickson and Kat Kelly are willing to go above and beyond for their club. Their efforts have been reflected in a nomination for the Best Coach in Australia in the 2018 Clubbies awards. 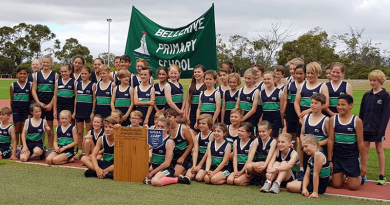 Hosted by Inside Sport, the national competition highlights the contribution of community members within Australian sport. Mr Dickson and Ms Kelly, of Dickson Tennis, said they were “gobsmacked” to have received the nomination. “It’s been really exciting and we already feel like we have won just by being nominated,” Ms Kelly said. The couple moved to Tasmania two-years-ago and have since grown the Sunshine Tennis Club’s junior club base from five to 120 members. 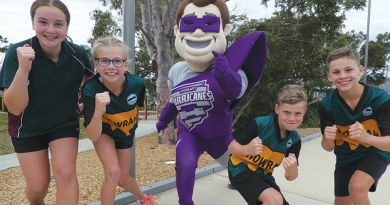 “We have a great community vibe and feeling around our club,” Mr Dickson said. 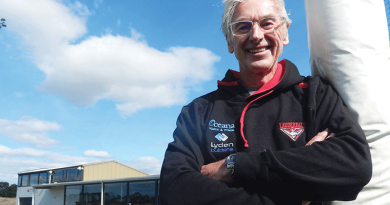 “And I think this nomination is a testament to our club families – we wouldn’t be here without them. “We invest so much time in other people’s hopes and dreams and it’s so lovely to have that love and support come back our way. Mr Dickson has both Australian and international coaching qualifications. Katrina Roocke, parent of a young member of the club, nominated the coaches for the award. She said they “very deserving” recipients of the national recognition. “The children are always encouraged, supported and given superior advice – all in a fun and engaging format,” she said. The couple are the only Tasmanian finalists in their category. The overall winner is based on votes, with voting closing 15 April. For more information or to vote, visit https://www.insidesport.com.au/clubbies/vote. For more information about Dickson Tennis, visit www.dicksontennis.com. 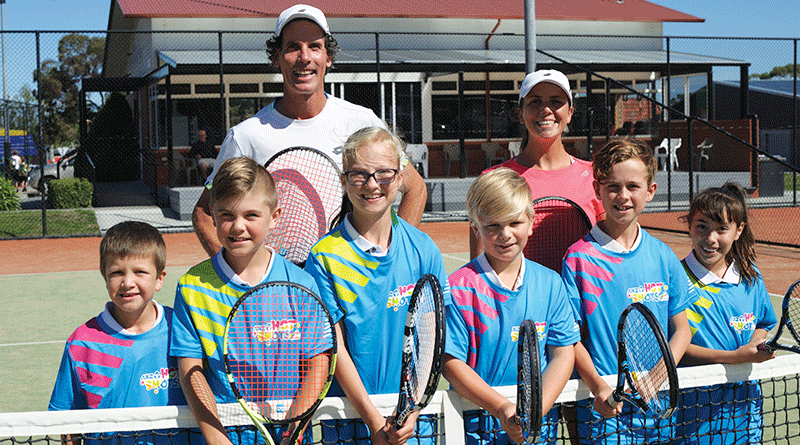 Caption: David Dickson and Kat Kelly, of Dickson Tennis, with young club members. The Eastern Shore Sun is a Tasmanian Community Newspaper delivered free directly on a monthly basis to the homes and businesses in the municipalities of Clarence and parts of Sorell. Copyright © 2019 Eastern Shore Sun. All rights reserved.